Helen Barry, age 90, completed her earthly journey to be with God on May 30, 2018. She was preceded in death by her son Brent Barry. She is survived by her husband of 69 years, Elmo Barry; sons, Mark and Rob Barry; daughters, Lisa Barry and Jan Dossey; three grandchildren, Brooke (Dustin) Lilly, Brandon (Brandi) Barry, and Anaea Dossey; great-grandchildren, Taylor, Smoltz and Carolina Lilly; and her brother Jon (Ruth) Hines. Helen was born in Bowling Green, Kentucky where she was raised by her parents, Carlie Rhea and Louise Hines. She had three siblings, Bobby, Beth and Jon Hines. Helen attended Western Kentucky University where she met her husband Elmo. They fell in love and got married on August 28, 1948. She went on to teach Home Economics, elementary and middle school for 29 years in Missouri, Kentucky and finally the family settled in Nashville, Tennessee. She was very active at church in the Women’s Missionary Union and she taught Sunday School, Girls in Action, Choirs and the Sunbeams. Whenever the church doors were open, she and her husband Elmo were always there along with all five children. 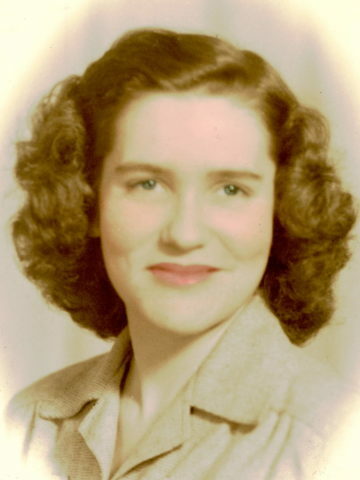 Helen earned her Library Science and Administration degree at MTSU, which came in handy as she researched both sides of the family’s genealogy. Taking pictures, making scrapbooks of all the keepsakes from the family, and making calendars with all the birthdays were her forte. She was an avid journal writer, and always emphasized the importance of keeping in touch through letters and frequent phone calls. Camping, cooking over a Coleman stove and going to historic places were always the family’s summer vacations. The Barry family always enjoyed picnics by the road and setting up camp each night. After Helen’s retirement from teaching, she and Elmo began to travel all over Europe and in Canada. They took their grandchildren on road trips to teach them about the history of our country. Helen’s love language was cooking for all the family gatherings. She and Elmo would plant a vegetable garden each spring and tend it carefully on their five-acre plot of land. They would harvest the fresh food and preserve it for the winter. She taught all of her children and grandchildren how to read books, play games and sew. Reading the Bible and saying the blessing before each meal was always a top priority. Helen was a godly and wise role model, wife, mother, grandmother and great-grandmother. Her birth date is her life story: All Saints’ Day. There will be a funeral service on June 2, 2018 at 11:00 in the sanctuary at Forest Hills Baptist Church. The family will receive relatives and friends from 10:00 – 10:45 in the Chapel. After the service, please join the family for a luncheon in the Fellowship Hall at the church, followed by a 2:30 graveside service at Harpeth Hills Memory Gardens. In lieu of flowers, memorial contributions may be made to the church, Rescue Mission, and Samaritan’s Purse. Her life was an inspiration to all she encountered. We are honored to call her our friend.